The best summary of Rebecca MacKinnon’s book Consent of the Networked is its subtitle: “The worldwide struggle for Internet freedom.” This is a comprehensive, spirited, and rich journalistic account of the way the use of the Internet and its supply industries intersect with classic civil and political rights. Importantly, it is informed by a realization that this encounter is generating a transnational movement for human rights in the new spaces forged by the Internet protocols. MacKinnon says that we need to figure out how to make the Lockean, proto-democratic idea of “the consent of the governed” apply to cyberspace. In a stirring sentence near the end of the book, she claims that “Netizens, companies and governments all face an urgent moral imperative to innovate politically – in the broadest sense of the word – on a scale that matches the dramatic technical innovations of the past several decades.” But it is a plea, not a recipe. MacKinnon succeeds in putting most aspects of this struggle into a coherent perspective (the one exception is the international relations/cyber-war angle). She discusses the gigantic spaces for social interaction created by Facebook and Google and shows how a thriving public sphere on a business platform tailored to sell advertising creates wrenching issues regarding traditional understandings of democratic rights. She describes the “digital Bonapartism” of Russia and the “networked authoritarianism” of China, but does not overlook the “democratic censorship” European countries are implementing to filter or repress Internet-based communications. She covers the copyright wars and their ability to block or restrict internet content, touches on net neutrality, and produces very interesting insights into the political vagaries of Washington’s “Internet freedom” programs. She correctly includes ICANN, the World Summit on the Information Society (WSIS) and the Internet Governance Forum (IGF) in this narrative, affording a cameo role to the Noncommercial Stakeholders Group and its battle for adequate civil society representation in ICANN. There are very few people who could pull this off other than Rebecca MacKinnon. Though she is a U.S. citizen and is well-connected to the hegemonic policy networks based there, she is a “rooted cosmopolitan” – Sidney Tarrow’s term for someone situated in a particular society but with far-ranging transnational relational links to many others. MacKinnon spent a significant part of her career in China as a CNN reporter and speaks and reads Mandarin. Through the incredibly valuable resource Global Voices, which she helped to build, she has gained awareness of and contacts to bloggers and activist networks in the Middle East, Africa and parts of Asia other than China. She provides exposure to the highly diverse people engaged in the struggle with a journalist’s sense of concreteness. She also has ties to (mostly US) private industry through her role in establishing the Global Network Initiative (GNI), an attempt to extract ethical commitments from major private Internet companies to avoid or minimize collaborating with repressive governments. One might be tempted to call this a manifesto for the Internet freedom movement, but it isn’t, really. It is more like a supportive documentation of that movement’s problems and activities, and an expression of its current identity, tacitly guided by an intuitive sense of its ideological common denominators. Manifesto implies some new “ism” with a unique, well-defined political program and strategy. Consent of the Networked doesn’t do that. Although it engages with some big ideas, such as the nature of democracy in global cyberspace, the relationship between private and public authority, and the role of corporate social responsibility in the information industries, anyone looking for startling new ways of thinking about those problems or innovative proposals to solve them will not find them. Instead, MacKinnon makes it clear to us that those problems are there and concretizes them. As noted above, it calls for political innovations, it does not propose them. There are some analytical insights here, but her discussions tend to reflect the sometimes-unsettling ambiguities that characterize the digital rights movement. Chief among these is an unclear stance toward private business and governmental power. A lot of the media coverage and sound bites associated with this work play on the characterization of the Internet giants as the “new sovereigns,” as “Googledom” and “Facebookistan.” MacKinnon, however, is experienced and smart enough to recognize, repeatedly, that governmental power is also a threat to Internet freedom, and thus she cannot and does not offer any simple nostrums about how policy makers should do this or that to respond to this putative sovereignty. She also recognizes that the ability of these new multinational businesses to connect with Internet users in ways that are not approved by governments and challenge their power can be liberating. We have a problem: the political discourse in the US and in many other democracies now depends increasingly on privately owned and operated digital intermediaries. Whether unpopular, controversial, and contested speech has the right to exist on these platforms is left up to unelected corporate executives, who are under no legal obligation to justify their decisions. The response to Wikileaks’ release of classified cables is a troubling example of private companies’ unaccountable power over citizens’ political speech, and of how governments can manipulate that power in informal and thus unaccountable ways. This is a good example of the book’s strengths and limitations. Yes, the response to Wikileaks was disturbing in many ways. But a diagnosis that echoes the standard 20th century-vintage dichotomy between public (elected, accountable) and private (self-interested, unaccountable) misses the mark somewhat. First, public expression in modern, free societies has almost always depended heavily on private intermediaries, whether we are talking about printed newspapers, renting speaking halls or telephone companies. And is the problem really that the corporate executives are “unelected?” Constitutional guarantees in liberal democracies typically don’t allow publicly elected officials to suppress certain kinds of expression. But when we stop governments from intervening, either because it is undesirable or because it is impractical, it is all but inevitable that the ordering gap will be filled by the policies of the private actors. If the problem is that the policies developed by the operators of these platforms are oriented more toward commercialization and profit maximization than by democratic ideals then yes, of course, that leads them to behave in ways that many activists consider suboptimal or even harmful. But remove the commercial incentive to develop and build these platforms and it’s likely that you eliminate, or grossly stunt the development of, the platforms themselves. This is not an easy problem. It goes to the heart of what liberal democracy means in a globalizing information space. Take this line of thinking even deeper. If Facebook and Google are “sovereigns” then should digital rights advocates demand that they develop democratic elections, representational mechanisms and legislative processes, mirroring the evolution of governments? 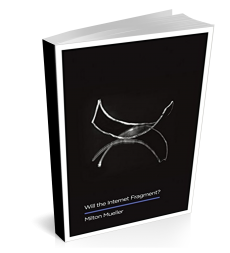 MacKinnon herself says no (p. 244) Are there better ways to secure the consent of the networked in these times? If one proposes instead state regulation of these entities, one is thrown back to the twin problems already facing the internet: 1) the problem of too many jurisdictions, with different and sometimes conflicting laws, fragmenting what should by right be a globally integrated public sphere, and 2) the risk of authoritarian or repressive regulation by nondemocratic states. MacKinnon is actually quite pragmatic and centrist in her approach to these problems, recognizing their complexity and calling for new approaches. She places a lot of emphasis on the ethical obligations of corporations – and of consumers and their shareholders as well – to deal with these problems as they arise. This is quite consistent with her democratic worldview, which emphasizes a mobilized “netizenry” and the importance of transparency, and ongoing vigilance and agitation. She calls for “new mechanisms and strategies for collective bargaining by netizens with corporations. On that we can agree. 1) MacKinnon is hugely misleading when she implies that the problem of WikiLeaks is some kind of “discourse” that is “suppressed” as if it is merely politically unacceptable speech. That’s not the issue. Amazon does not store WikiLeaks files *because they are stolen classified government documents*. End of story. It has not caved to any government pressure; it has done the right and lawful thing. No company should be coerced by Internet radicals like MacKinnon (she’s not centrist on this) into having to store stolen documents unlawfully. Storing stolen documents is a violation of the TOS, and stealing classified documents is a violation of law. Nothing in the acts of WikiLeaks have been shown to be warranted as any sort of ethical whistleblowing such as to justify this profound destructiveness to US foreign policy and harm to its sources. MasterCard and others, by the same token, will not take payment for an operation *inciting the stealing and publication of classified documents*. This isn’t “unaccountable power of political speech” — nonsense. The hackers who vandalized and stole the documents are the unaccountable ones, and it has nothing to do with “speech” but is in fact anarchic “propaganda of the deed”. 2. The companies aren’t democratic and aren’t elected. Neither is MacKinnon and the rest of the gang at the Global Network Initiative. But freedom of speech doesn’t trump freedom of association. The real need is to keep a pluralism and a free market of a variety of social media platforms, not impose government or NGO diktat on them, and for the rule of law and organic legal institutions to apply to the unruly web. MacKinnon, along with Electronic Frontier Foundation and others have resisted the rule of law over the Internet at every step, starting with intellectual property rights and ending with the lawful pursuit of national security in a democratic state. It’s not Internet freedom fighting. It’s partisan warfare.